Yen Tu Mountain’s beauty is in the harmony between imposing mounts and ancient pagodas and temples, making tourists relax after trekking sloping roads. From Hanoi, tourists can take a motorbike or car for 125 kilometers, passing Uong Bi City then make a turn to Vang Danh Street for about 9 kilometers and finally turning left. 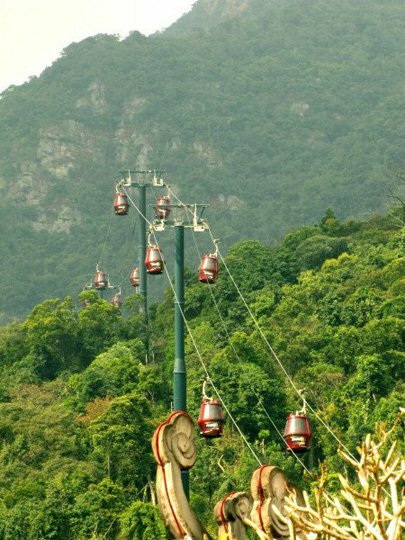 There are two ways to reach Yen Tu Mountain’s peak: trekking or taking the cable car.By cable car you travel about 1.2 kilometers to a height of 400 meters above sea level, near Hoa Vien Pagoda, tourists can take a panoramic view of magnificent Yen Tu Mountain. The second route is trekking for about 6 kilometers on stone steps; travelers need good health and good preparation. However, with the shade of immense forest, wild flowers and strange species, it makes the journey more interesting and eases the tiredness. Yen Tu Mount, which stands some 1,068 meters above sea level, is the highest peak in the nation’s northeast region. It is also known as Elephant Mountain, because those with creative minds think it resembles a reclining elephant looking out towards the sea. It has played a part in the nation’s history, as monks seek out its sanctuary and solitude. Located in Thuong Yen Cong Commune, Uong Bi City, Quang Ninh Province, it is also home to the Truc Lam Zen Buddhist sect. King Tran Nhan Tong, (who lived until 1308) founded the Zen Buddhist sect with Phap Loa Ton Gia (1284-1330) and Ly Dao Tai (1254-1334). Before Tong came to prominence due to his religious activities, he had already established a reputation as a strong and true governor. Aided by legendary general Tran Hung Dao, the young king led the nation to victory in two out of three resistance wars against the Yuan-Mongol invasions in 1285 and 1288. The journey to visit Yen Tu departs from Giai Oan (Salvation of Wandering Souls) River which runs Thuong Yen Cong Commune. The stream water is blue and pure round year. It is said that 100 of the king’s concubines volunteered to continue serving him in his solitary life and followed him to Yen Tu. When the party reached the stream, the king told them to return to their native villages and start life anew. The concubines begged to stay, saying their life would be worth nothing if they were turned away. When their request was denied, they jumped into the stream where they met their deaths. The next destination is Hoa Yen Pagoda nestled on a height of 534 meters which has two frangipani flower trees which are 700 years old. 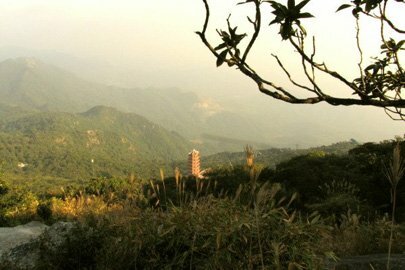 After leaving this site to conquer the peak, tourists can stop at some other sites such as To Tower, Mot Mai and Bao Sai pagodas, Yen Ky Sinh stone statue and Ngoa Van Temple. Day by day Yen Tu has attracted more and more travelers, especially in the spring season. Now Yen Tu Festival is taking place until the end of the third month of the lunar calendar, so tourists can indulge in the animated atmosphere as well as get to know more traditional cultural features.